Cary, NC – In a fast-paced world, more of us want to get our food on the run. 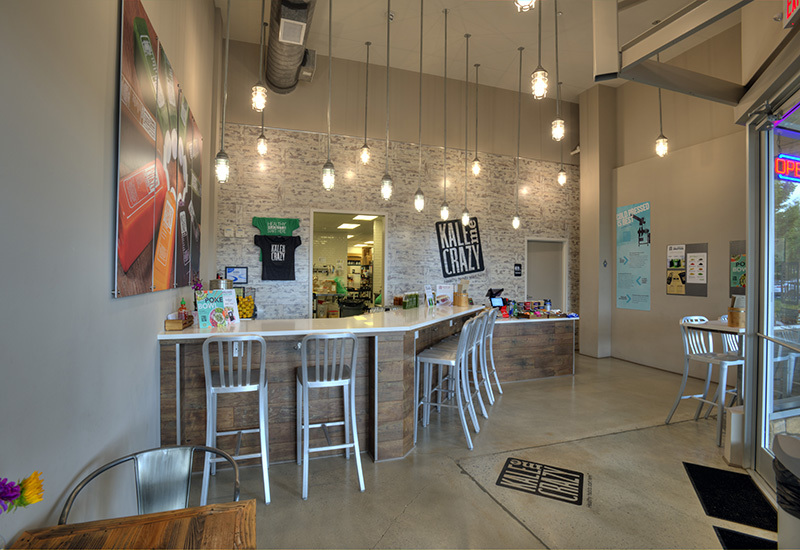 With Kale Me Crazy now open in Cary, their goal is to give customers a way to get nutrition quickly. Kale Me Crazy now has its first location outside of Georgia at Waverly Place in Cary. Jeff Hutto, the owner of the Waverly store, said he came to Cary three years ago and loves the area but had one complaint. “It’s hard to eat healthy here,” Hutto said. 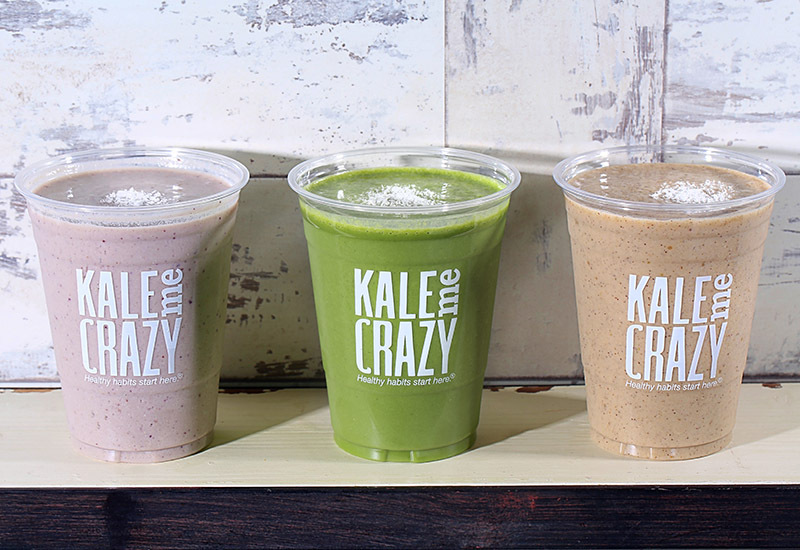 Kale Me Crazy focuses on giving customers fruits and vegetables in a juice or smoothie form, with options for added energy or protein and a focus on natural ingredients. With Cary’s young, fitness-oriented and wealthy population, Hutto said it was a good for for the growing brand. Hutto said through Kale Me Crazy, he wants people to have the option to not eat processed food if they do not want to. 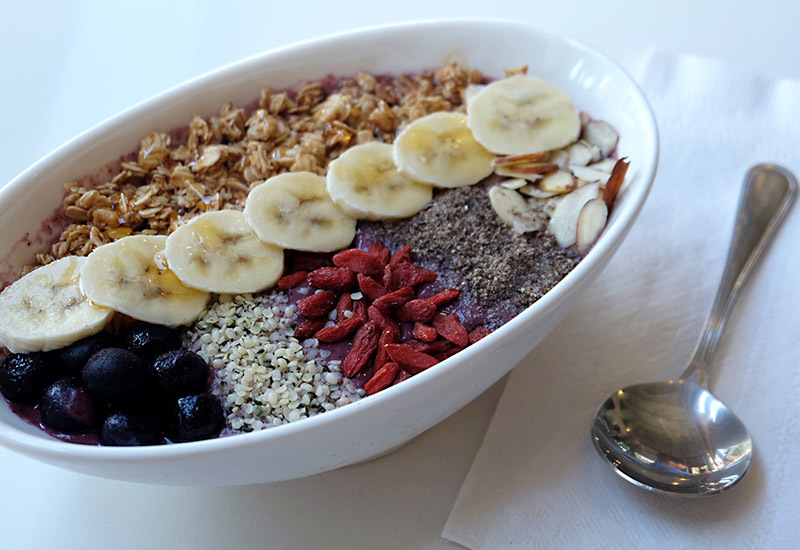 “We Believe In Real Food” is a key slogan at Kale Me Crazy and in addition to juices, the business also sells bowls made with fruits and granola and the “Poke bowl” with tuna and rice. “It’s about eating real food, not processed food loaded with chemicals and fats,” he said. Hutto said he is also reaching out to local fitness clubs and gyms to create partnerships and form bonds. “Hopefully, I can change minds about my approach to eating healthy, genuine ingredients,” he said. Kale Me Crazy is located at 302 Colonades Way, Suite 209 at Waverly Place. Story by Michael Papich. Photos courtesy of Jeff Hutto.